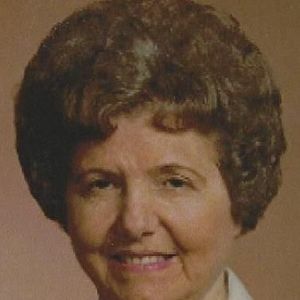 CENTRAL CITY - Margie Nell Rager, 92, of Central City, died Friday, May 22, 2015, at Owensboro Health Regional Hospital. Mrs. Rager was born November 13, 1922, in Muhlenberg County. She was a homemaker and member of Calvary Baptist Church. She was preceded in death by her husband, Samuel Rager; and son Jackie Rager. She is survived by her sons, Jimmy (Patricia) Rager of Beechmont and David (Joyce) Rager of Central City; daughter Phyllis (Tommy) Rager of Hanson; five grandchildren; five great-grandchildren; and sisters Ruby Sallee and Adell Markwell, both of Central City. Funeral services will be Sunday, May 24, 2015, at 2:00PM at Tucker Funeral Home in Central City, with Rev. Tim Burden officiating. Burial in Rose Hill Cemetery. Visitation will be Sunday after 11:00AM at the funeral home. Online condolences may be made at www.tuckerfuneralhomes.com. Sending my condolences ...Just read of Mrs. Ragers going..may U each find comfort in knowing she is now at peace..